Teens are increasingly relying on social media to get their news, with one of the most popular being Snapchat. A survey conducted in April 2017 by NORC at the University of Chicago shows that 75% of American teens ages 13-17 use the app. Considering how popular Snapchat is with teens, it would make sense that most teen users are exposed to current events and would make the app their primary source of news. 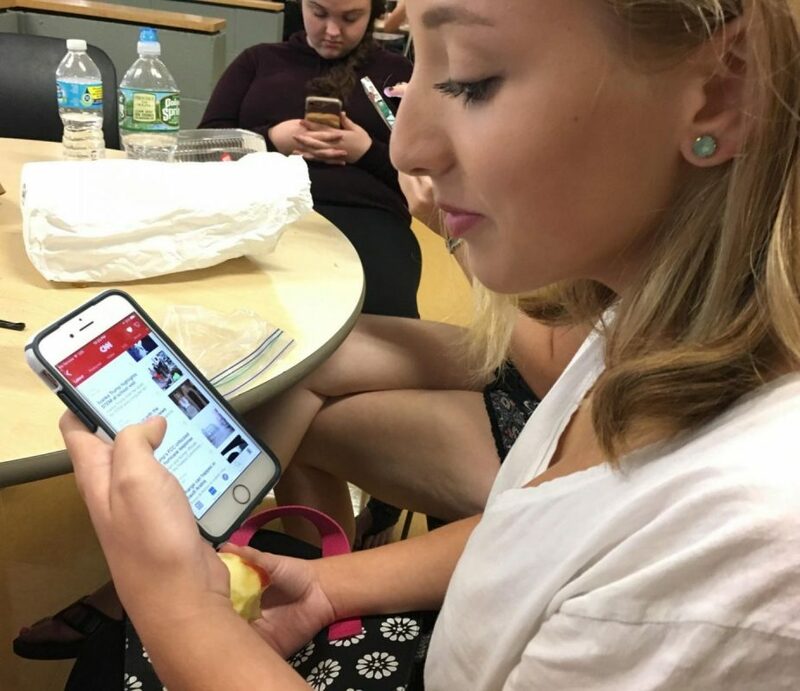 “[I get my news from] ‘The New York Times’ app and sometimes Facebook,” senior Casey Martin said. Like other teens, she rarely picks up an actual newspaper and instead relies on apps to keep her up to date. 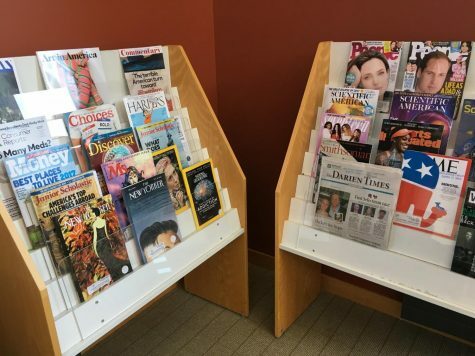 Do people even know there’s a magazine stand in the library? Chances are, you probably get your news through Snapchat, Twitter, or some other social media app. Reading the newspaper and watching cable news is for your parents. Most teens don’t even remember the last time they watched TV. Checking social media for ten minutes (or more…) a day is a lot easier than committing yourself to watching an hour of news on network television. But even though getting news from social media is really easy and fast, there are some downsides. And yes, there is going to be a mention of fake news. Anyone can post any information for the public to see without it being fact-checked, which can sometimes lead to the truth being misconstrued. This was a big concern during the last presidential election, with accusations being thrown that were based on false news stories. Remember the infamous but nonexistent “Pizzagate” conspiracy lobbed against Hillary Clinton? Also, it’s really easy to curate your own news feed. You can pick and choose which publications, topics, and viewpoints to follow. We’re less likely to read news stories that disagree with our opinions because people are naturally drawn to other people who have similar beliefs. This leads to an “echo chamber,” where you’re only reading things that confirm your point of view instead of reading opposing viewpoints. This greatly contributes to today’s highly polarized political climate, where there’s seemingly no middle ground. If you do use social media as your primary source of news, always do a quick Google search to make sure that the story you’re reading has been picked up by reliable news outlets to make sure you’re not falling into the fake news trap. If you want to keep up with the craziness of American politics, try reading The New York Times for a liberal viewpoint or The Wall Street Journal for a more conservative take on the day’s stories (try to read both!). If international news is more your thing, try the BBC or Reuters. It’s important now more than ever to understand one another. It’s difficult, but we can start to bridge this gap that divides so many Americans. Branch out and read from publications that have an opposing view than your own, or even try to find neutral news sources (they do exist!). Maybe in addition to checking Snapchat or Twitter, you can pick up a newspaper or watch the nightly news with your parents. Vary the places where you get your news. Play devil’s advocate. It’s important to stay informed, but it’s also important to step back and make sense of all of the stories that we’re bombarded with every day.